Secure Shell (SSH) is a UNIX-based command interface and protocol for securely getting access to a remote computer. SSH is actually a suite of three utilities - slogin, ssh, and scp - that are secure versions of the earlier UNIX utilities, rlogin, rsh, and rcp. SSH commands are encrypted and secure in several ways. Both ends of the client/server connection are authenticated using a digital certificate, and passwords are protected by being encrypted. If DNS is set up for a domain you are hosting, you may use the domain instead of the IP address. You will need to set your root password in the Account Center the first time you connect to your server. Click on the option to set your root password. Type your new password twice, then save your changes. Watch this video to learn how to connect to your Grid via SSH. Log into your Account Center and click on your primary domain. Set the SSH option to Enabled and click Save. 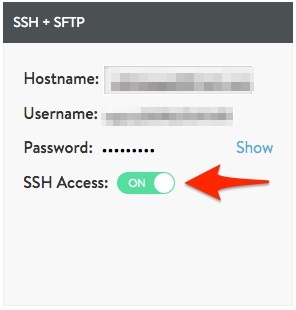 This option enables SSH for the Server Administrator user only. This is the only Grid SSH user with wide-reaching permissions. 1. 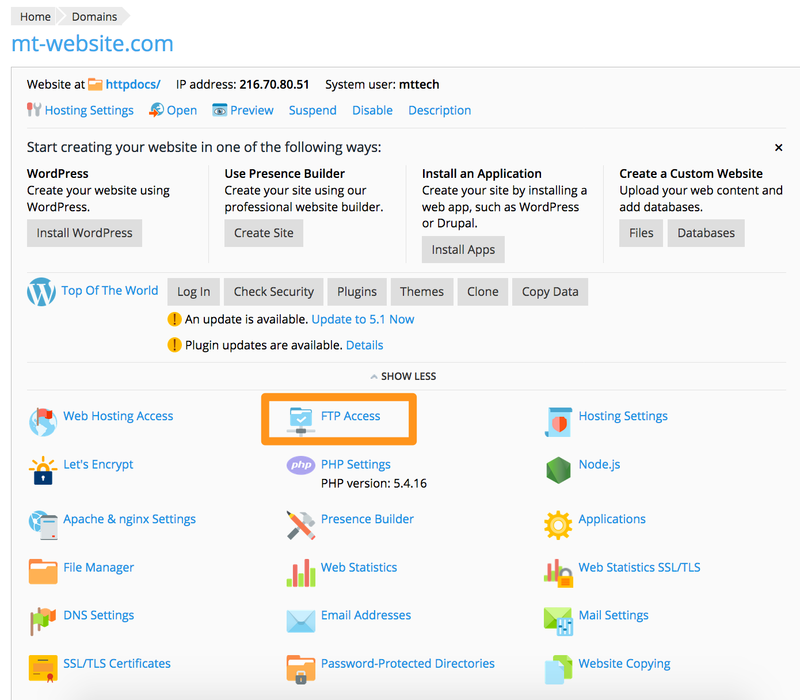 Log into your Account Center and enter the Managed WordPress Control Panel. 2. 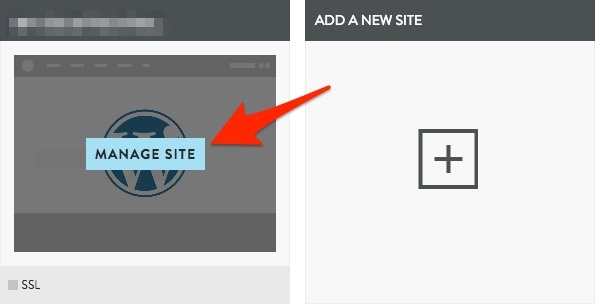 Click on Manage Site for the site you would like to enable access for. 3. 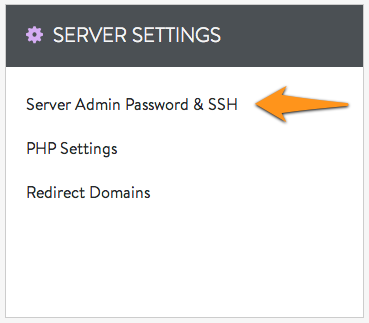 From the My Site menu, find the SSH + SFTP panel and make sure that SSH Access is on. Watch this video to learn how to connect to your DV via SSH. On the DV and DV Dedicate-Virtual servers, you have several possible SSH users. Choose the appropriate one for your needs. For domain-specific tasks, you can enable SSH access for the FTP user associated with that domain. 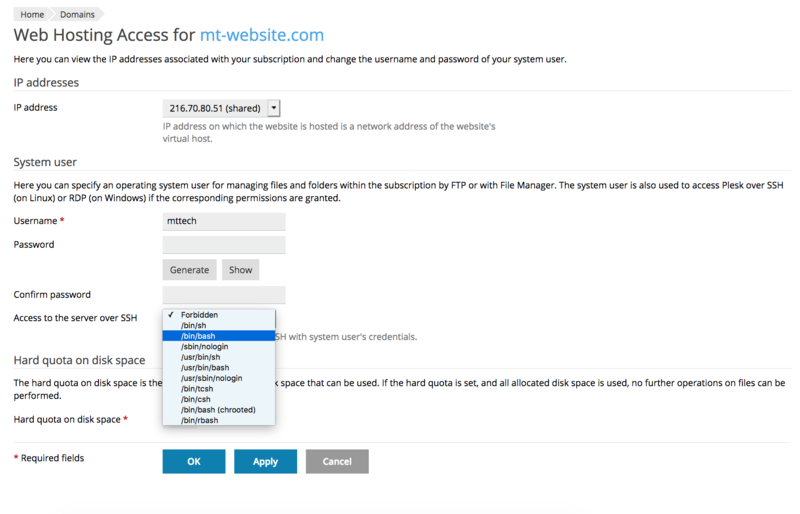 This is the best option if you plan to copy or create web-accessible files. Log into your domain's Plesk Control Panel. Note the name of your System user, then click FTP Access. Click on your System user. Click on the drop-down menu and select /bin/bash. Then click OK or Apply to save your changes. For high-level configuration tasks and server administration, you can enable the root user for your server. This user can modify absolutely everything, so make sure you use it wisely. See Enable root access for instructions. For high-level tasks coupled with increased security, you can set up a sudo user instead. This user normally functions as a lower-level user, but can perform the same tasks as root when necessary. See How do I disable SSH access for the root user? for more information. For all examples that pertain to the root user, a sudo user can do the exact same thing by adding sudo in front of the rest of the command. You will be prompted for the root password, and then the command will execute. Password: This is the same as your Server Administrator FTP password. Read this article if you need to reset this password. Username: This depends on which user you chose to enable. The root username is just root. Your domain FTP user or a different sudo user will have a custom name depending on what you typed when you created the user. Password: This depends on which user you chose to enable. The root and sudo articles above show how to set a password for those users. The domain FTP user will have the same password that you use for FTP. If you are new to command-line interfaces, you may want to familiarize yourself with some of the commands first. It is standard to hit "Enter" after each command, to execute it after you finish typing. For detailed instructions on using PuTTY, please read our article on SSH in PuTTY (Windows). Replace "username" with the username and "hostname" with the hostname found in the SETTINGS section of your WordPress control panel under SSH & SFTP. In this case, the username is the full email address. But, you will need to replace the @ symbol in the email address with a % to make sure the command works. Password: This is the same as your email password. Make sure you use your own domain name or IP address. If you want a user other than root, type the other username before the @ symbol. If this is your first time connecting to the server from this computer, you will see the following output. Accept the connection by typing "yes." The authenticity of host 'example.com (12.33.45.678)' can't be established. RSA key fingerprint is 3c:6d:5c:99:5d:b5:c6:25:5a:d3:78:8e:d2:f5:7a:01. You will now be prompted to enter your password. Please note that you will NOT see your cursor moving, or any characters typed (such as ******), when typing your password. This is a standard Terminal security feature. Hit enter. You can also copy and paste, using Command+V to paste. That's it, now you're connected to your Managed WordPress service via SSH.